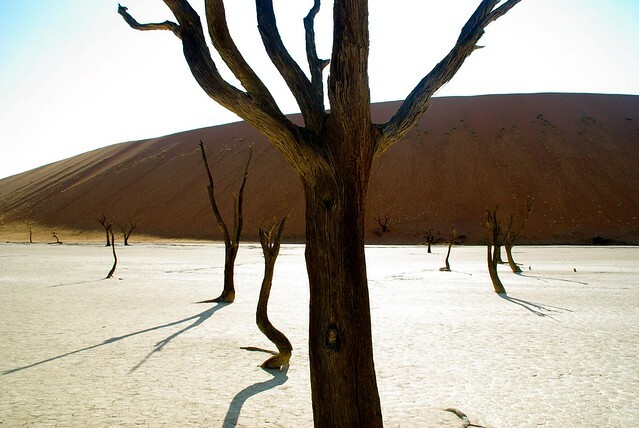 One of our favorite days of last year was spent climbing the sand dunes in Sossusvlei and walking around the skeleton trees at Deadvlei. 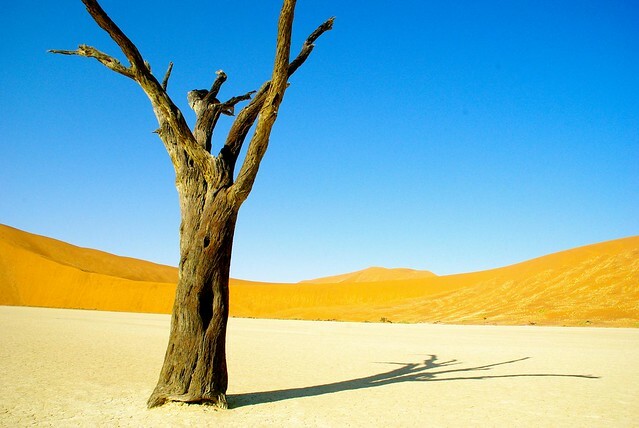 The dead trees leave an erie openness along the clay pan and are surrounded by some of the highest sand dunes in the area reaching 300-400 meters. Looks like the middle of no where, how did you guys get there? Safari truck? We drove ourselves in a 4×4 camper truck – It is still one of the coolest places I have been to date! 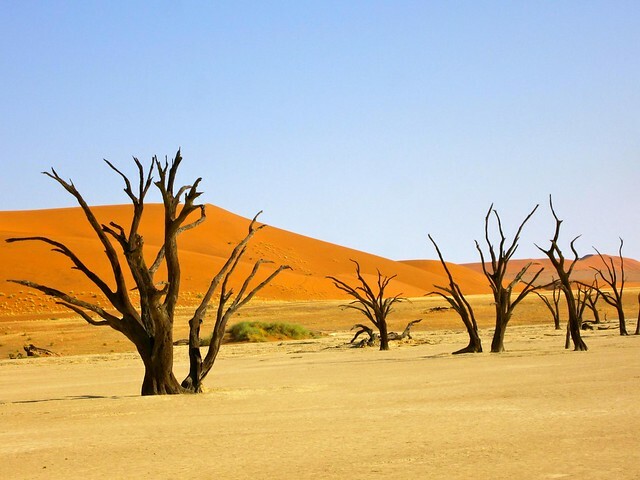 I have seen this place many times in the bollywood movies and I am very eager to visit this place, but unfortunately my budget does not allows me. If I am not wrong this is the place near to ocean.